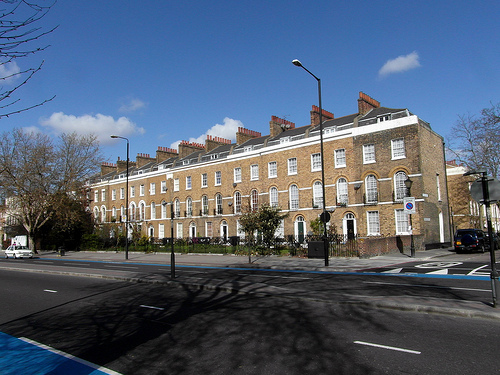 The E3 post code mainly consists of Bow and Mile End with both areas contributing to a rich and fascinating history. Sat deep in the East End, the area is often overlooked by tourists, who prefer to visit the dazzling and buzzing city centre and other surrounding areas. This makes it the perfect district with its many hidden sites to see in E3 including the beautiful Mile End Park, with its uniquely designed Green Bridge, Victoria Park to the north of the district and the Ragged School interactive museum which displays the rich heritage of Victorian London. During the Victorian period, the area became a slum due to the rapid growth of London, the heavy riverside industry and the railways. Similarly, like other areas of the East End, overcrowding and poverty became synonymous with the area, despite the fine terraced housing and delightful squares located nearby. The Second World War brought more desolation to the area, with most buildings being destroyed and many residents losing their homes due to the London bombings. So the story goes, only born and bred residents from Bow, who heard the sound of the St Mary-le-Bow church Bells, can truly call themselves a true cockney. Some of these people will also recall the first ever V-1 flying bomb which descended on the area during the Blitz years. The industrial land, which was destroyed, was left derelict for almost 50 years until the creation of Mile End Park in 1999 and more recently, a 200kg bomb was found near Mile End station during building work in the area. Nowadays, Bow is a mainly a family orientated residential district and Mile End has a thriving student population thanks to Queen Mary, University of London. Part of the London Olympic Village is also situated within the E3 postcode, which has helped regenerate and develop the district. Transport links from Mile End and Bow Road provide easy access to the city centre and surrounding areas such as Hoxton, Spitalfields and Old Street via the central, circle, district and Hammersmith line. Bus route 8 begins at Bow church, which passes areas such as Shoreditch and Bethnal Green until it terminates at Oxford Circus so there are plenty of options for getting around London. If you prefer to stay in this area, there are plenty of things to do to keep you entertained. The Roman Square Market is a haven for shoppers and bargain hunters alike and caters for all, including arts and crafts, home and garden, antiques, a variety of different foods, books, clothing and other special events. Each weekend throughout the summer, you’ll find Super Saturday, a collection of street performers including jugglers and stilt walkers which gives it a real carnival type of atmosphere. Particularly popular with students from the university campus close by is the wonderfully chic Fat Cats which is a great bar to grab a 2 for 1 cocktail. The student nightlife isn't for everyone and if that sounds like you then try out the Morgan Arms, which has transformed from a stereotypical, grimy East End pub to a contemporary gastro hub, offering a wide selection of pub classics. For the more traditional amongst us, head to Bow Bells pub for great ales and food. If you’re active and sport minded, then E3 is definitely the right place for you. As mentioned, the Olympic Village is very close by, and on top of that, there’s the Mile End Park Leisure centre and Stadium offering a wide variety of sports, including football pitches, tennis courts, a full sized athletics track and even a Go-Kart track. Properties found in the E3 district range from classic Victorian style terraces, large-scale post war housing as well as to modern and fashionable apartments, studios and stunning cottages. The array of cultures along with the busy student lifestyle and fantastic sports facilities make this area of London a great place to live. The area has gone from a very deprived district to an enhanced, thriving location due to various factors including the London Olympics and of course major developments over time. Mile End Park, London Borough of Tower Hamlets, E3. So if living in the E3 postcode district appeals to you and are looking to rent or buy in London, base property specialists will help you find the perfect property to suit your needs. Our first class service and property experience as a London letting agent is second to none when providing professional and honest advice. Visit our website to see if we have any properties that suit your needs, or for any further enquiries, you can contact us directly.